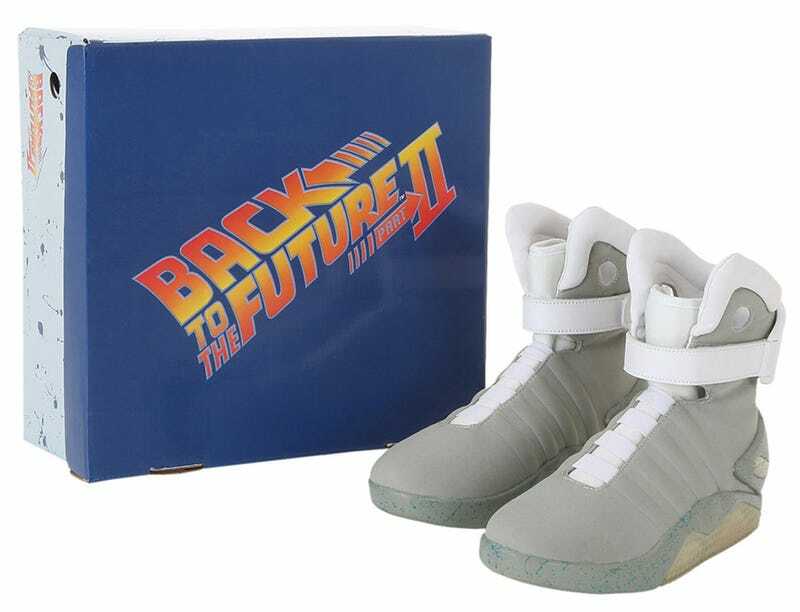 For those who simply can't hold out for power laces, the Halloween costume version of Marty McFly's Nikes from Back to the Future Part II are quite convincing. And unlike the limited-edition Air Mags that Nike produced in 2011, which are going for bajillions of dollars on eBay, these can be yours for only $99. 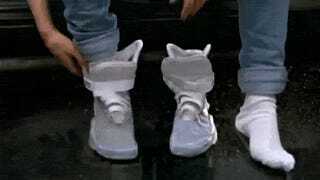 The costume shoes have the same high-topped grey leather, velcro "power laces," and LED lights in the soles (which can be charged with included power cord). All that's missing is that big ole Nike swoosh. And of course, the self-lacing technology.